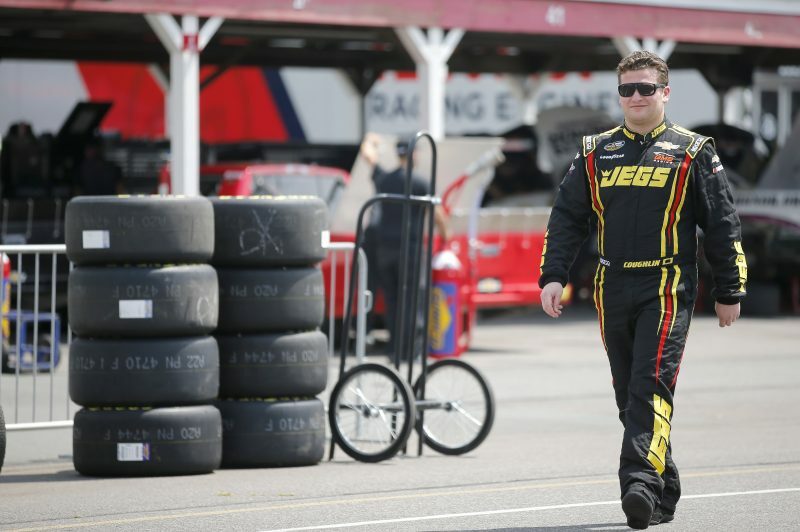 STATESVILLE, N.C. (August 14, 2018)—Cody Coughlin, driver of the No. 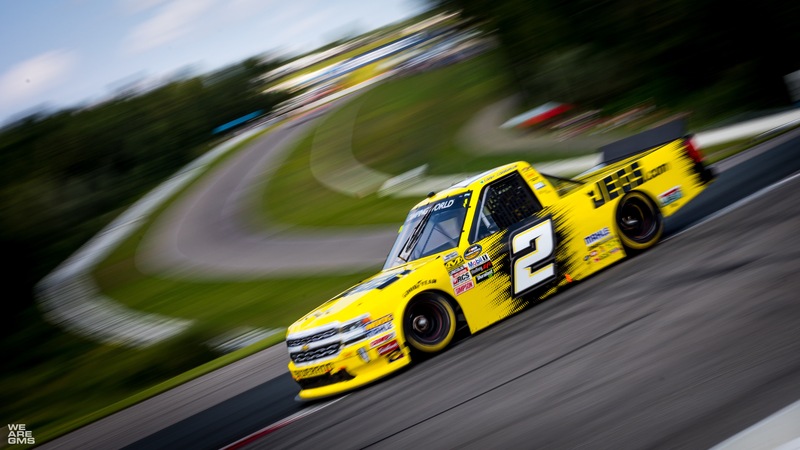 2 JEGS Chevrolet Silverado, will take to the high banks of the Bristol (Tenn.) Motor Speedway in the hills of East Tennessee for the NASCAR Camping World Truck Series (NCWTS) UNOH 200 on Thursday, August 16. Bristol Motor Speedway goes by the nickname the “Last Great Colosseum” for a half mile of concrete and asphalt where today’s gladiators battle it out in modern chariots. With the racing surface being completely surrounded by grandstands on all sides, Coughlin’s drive will harken back to the days of the Roman Empire for an intense day filled with the rain of sparks, the high drama, and the passionate tension of short-track racing. 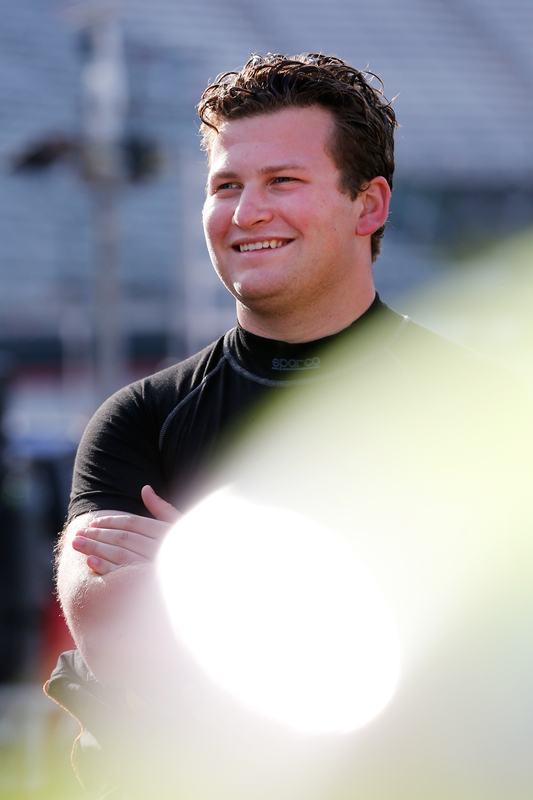 This weekend marks Coughlin’s second Bristol Motor Speedway appearance with the NASCAR Camping World Truck Series. In his track debut in the NASCAR Camping World Truck Series on August 16, 2017, he finished in the 17th-place with an eighth-place starting position at the Bristol Motor Speedway. “Last year, we ran really well at the beginning of the race at Bristol (Motor Speedway), and then we lost the handling later in the race after a cut tire,” Coughlin said. Coughlin will be relying on his short track background and many years of experience, success and knowledge in the Late Model ranks, a veteran’s approach that has boosted his confidence as he enters the “The Last Great Colosseum.” With historic short track victories at Anderson Speedway, Baer Field Motorsports Park, Birch Run Speedway, New Smyrna Speedway, Salem Speedway, Toledo Speedway and Winchester Speedway, an established short track mentality makes him a contender in the NASCAR Camping World Truck Series 200-lap event at the Bristol Motor Speedway. Coughlin made Champion Racing Association (CRA) history as the first driver to ever win both the ARCA/CRA Super Series, and the JEGS/CRA All-Stars Tour championships in the same season. He finished the seasons with four posted wins in the ARCA/CRA Super Series, and two wins in the JEGS/CRA All-Stars Tour. 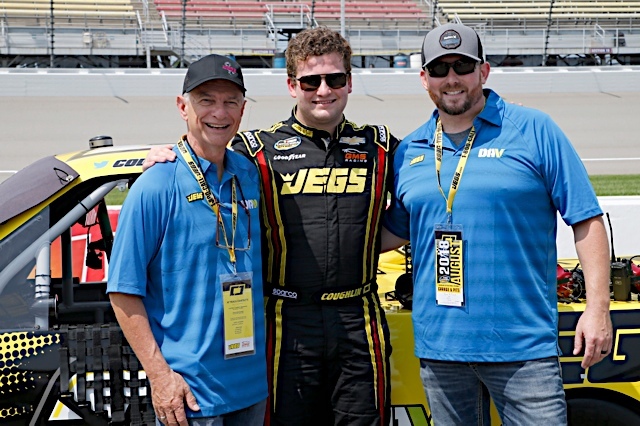 In NASCAR Camping World Truck Series starts on short tracks (less than one mile in length), Coughlin has recorded one top-10 finish in six starts. Since entering the NASCAR Camping World Truck Series in 2013, the Statesville, N.C.,-based GMS Racing team has logged 11 starts at the Bristol Motor Speedway, resulting in one win (2016), three top-five finishes and five top-10 finishes, with an average starting position of 11.1 and an average finishing position of 10.9 with 21 laps led at the Bristol, Tenn.,-facility. The 22-year old will pilot Chassis No. 118 in the UNOH 200 at the Bristol Motor Speedway. The Jerry Baxter-led team last unloaded this GMS Racing prepared chassis at the Iowa Speedway on June 16 where Coughlin finished in the seventh-place. The chassis has three previous starts with Coughlin during the 2018 NASCAR Camping World Truck Series season – including at the Dover (Del.) International Speedway where the Delaware, Ohio, native, posted his to date season best finish of sixth-place. Baxter, the crew chief for the No. 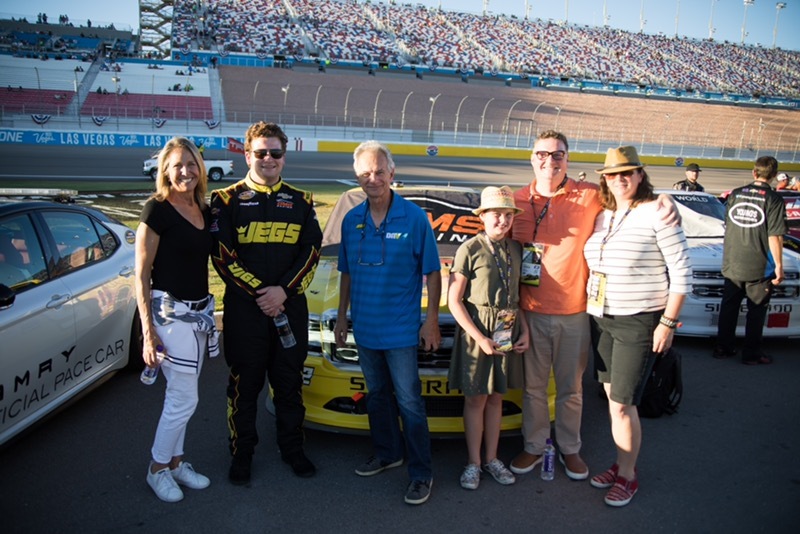 2 JEGS Chevrolet Silverado, has posted one top-five finish and two top-10 finishes in the NASCAR Camping World Truck Series at the Bristol Motor Speedway in six starts. In addition, Baxter has two top-five finishes, and six top-ten finishes in 11 NASCAR Xfinity Series (NXS) starts at the Bristol Motor Speedway. Terry Cook, former NASCAR Camping World Truck Series driver and spotter for Coughlin, boasts 10 starts in the NASCAR Camping World Truck Series, two starts in the NASCAR Xfinity Series, and one start in the Monster Energy NASCAR Cup Series (MENCS) at the Bristol Motor Speedway. Kevin Hamlin, the Cody Coughlin Racing team manager and former Monster Energy NASCAR Cup Series crew chief for Dale Earnhardt, has one victory with Dale Earnhardt (1999), five top-five finishes and nine top-10 finishes at the Bristol Motor Speedway in 29 starts. The UNOH 200 will be broadcast live on FOX on Thursday, August 16 starting with NASCAR RaceDay: NASCAR Camping World Truck Series at 8:00 p.m. (ET). It will also broadcast live at 8:00 p.m. (ET) on the Motor Racing Network (MRN) and SiriusXM NASCAR Radio. Qualifying for the 16th event of the 2018 NASCAR Camping World Truck Series schedule will air on Thursday at 4:00 p.m. (ET) on FS1. In addition, the practice session on Thursday will be televised live on FS1 at 9:00 a.m. (ET) and final practice for the NASCAR Camping World Truck Series at 11:00 a.m. (ET) on FS1. 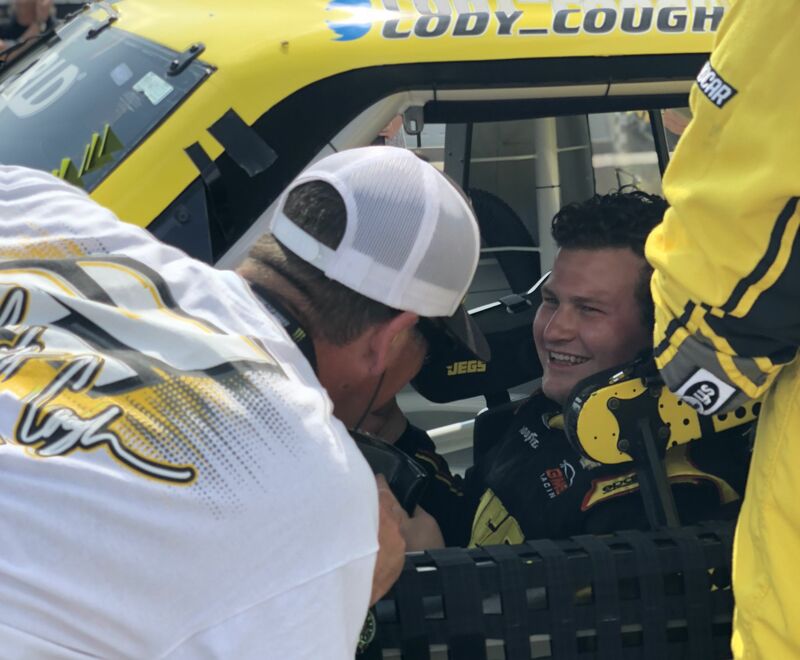 To keep up-to-date with the latest news, information and exclusive content, visit Cody Coughlin on his personal Twitter and Instagram page – @Cody_Coughlin, and on the official Facebook page at /CodyCoughlin2/. For more information on Cody Coughlin visit CodyCoughlin.com. 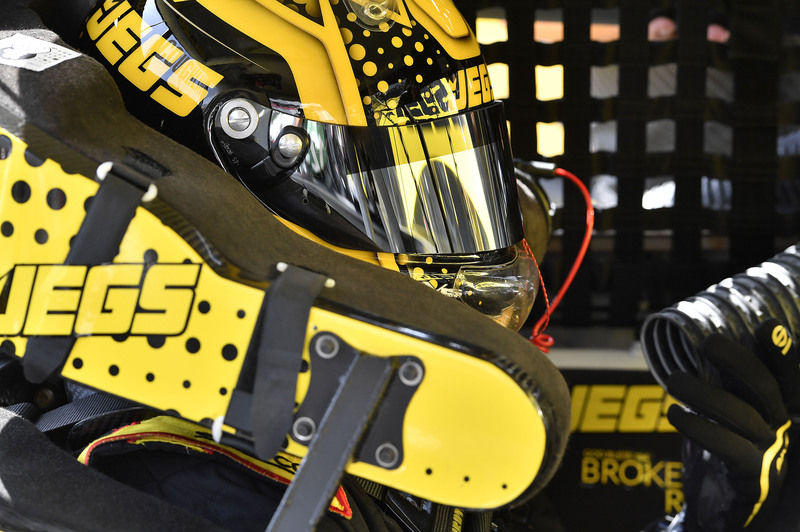 Also, follow Team JEGS’ Twitter page – @TeamJEGS, and on Instagram at @team_jegs. You can also “like” Team JEGS on the official Facebook page at /TeamJEGS/. For media relations / public relations, contact Courtney McGarry at Courtney.McGarry@JEGS.com. 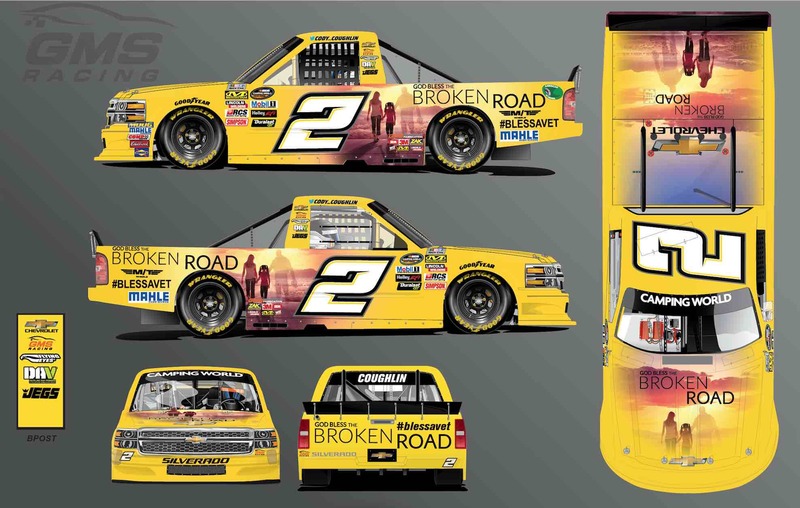 GMS Racing competes full-time in the NASCAR Camping World Truck Series with drivers Johnny Sauter, Dalton Sargeant, Justin Haley and Cody Coughlin, and also in the NASCAR Xfinity Series with Spencer Gallagher. Since the team’s start in 2014, GMS Racing has grown to occupy several buildings located in Statesville, N.C. The campus also includes operations for GMS Fabrication. More information can be found at https://gmsracing.net/.